If you try to refill your cartridge and it just does not work for you, we will be glad to help. 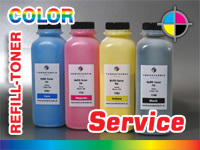 Send us your empty toner cartridge together with our purchased refill toner neutral of cost. 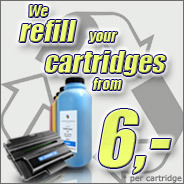 For a small service fee plus transportation costs, we will return the refilled cartridge to you on a short-time basis.